According to Lifeway Research, 48% of pastors leave full time ministry because they feel they weren’t trained to lead well. There’s too much at stake in your church for that to happen. 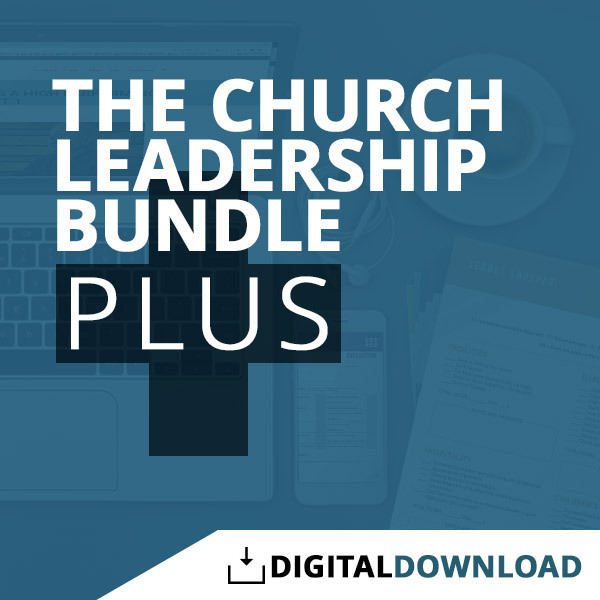 So, we created the Church Leadership Bundle PLUS. It’s everything (and we mean everything) you need to lead and manage your staff and volunteers well, and grow your church. You save $336.61 by purchasing the entire bundle now.